M58 - Serpentine memorial with barrell sides. Painted design of Baby sleeping on the Moon (optional). Shown in Star Galaxy Granite - available in all granite colours. 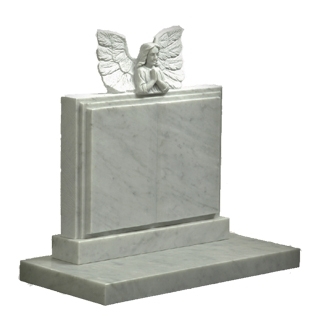 M59 - Bible memorial with Angel, shown in Carrara Marble - available in Marble colours only. 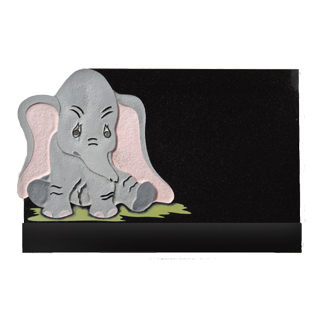 M60 - Dumbo memorial (painted), shown in Black Granite - available in all granite colours. 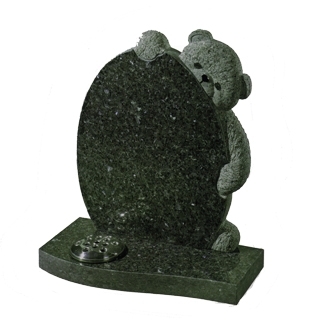 M61 - Peeping Teddy Memorial, shown in Emerald Pearl Granite - available in all granite colours. 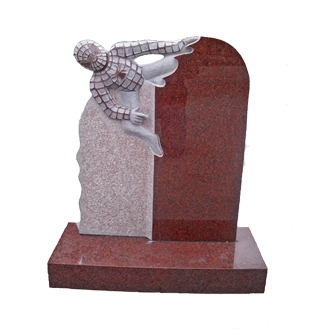 M62 - Spiderman Memorial, shown in Ruby Red Granite - available in all granite colours. 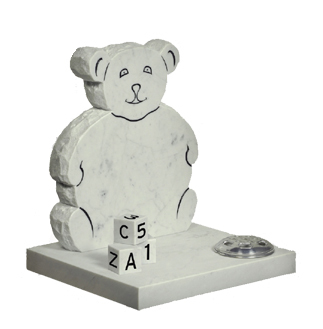 M63 - Teddy memorial (painted), shown in Carrara Marble - available in Marble colours only. 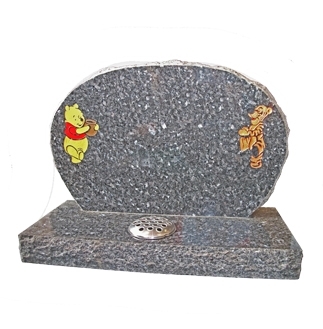 M64 - Rustic Oval Memorial with Winnie the Pooh and Tigger painted designs. 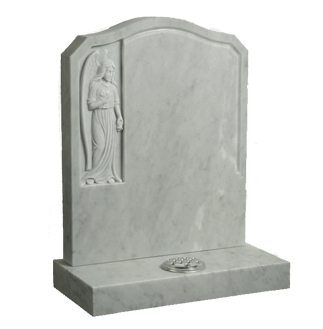 Shown in Blue Pearl Granite - available in all granite colours. 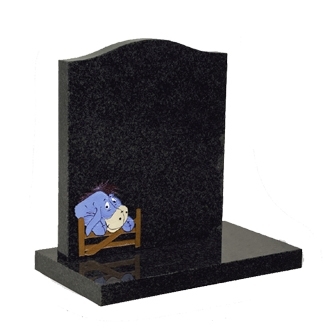 M65 - Small Ogee memorial with Eeyore design. 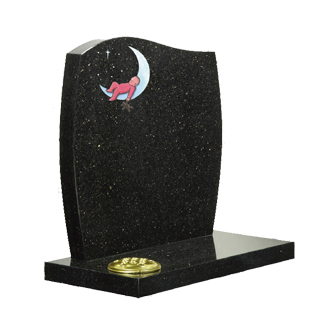 Shown in Black Granite - available in all granite colours. 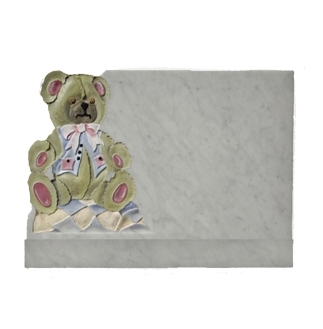 M66 - Teddy memorial with ABC Blocks, shown in Carrara Marble - available in Marble colours only. 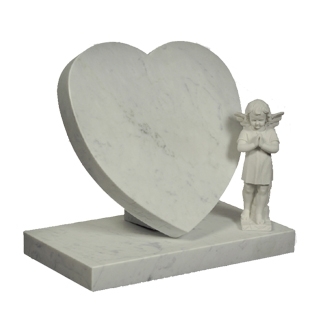 M67 - Heart Tablet with Angel Statue, shown in Carrara Marble - available in all colours - statue in White only. 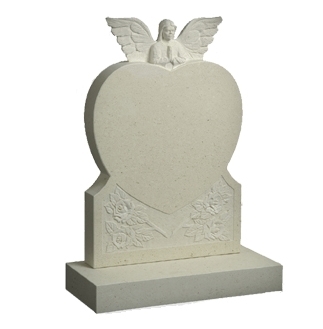 M68 - Heart and Angel Memorial with carved Roses, shown in Nabresina Limestone - available in Marble & Limestone colours only. M69 - Inlaid Carved Angel shown in Dove Grey marble - also available in Carrara.